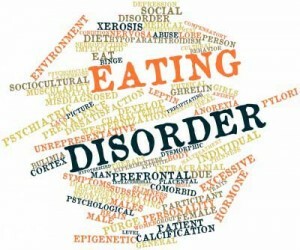 An eating disorder occurs when an individual has a distorted relationship with food, a distorted body image, and unhealthy obsessions about food, exercise, or their body. Eating disorders are very serious problems that often develop over a long period of time and eventually impact on a person’s whole life, their health, and their relationships. Eating disorders can quickly become life-threatening, with a sufferer of Anorexia Nervosa eighteen times more likely to die prematurely. Eating disorders can be life-threatening, with many patients with Anorexia Nervosa becoming dangerously-underweight, anemic, and putting their heart and other organs at severe risk. Initial treatment for the patient with an eating disorder is focused on treating complications caused by condition. Cognitive Behavioral Therapy focuses on changing the destructive and distorted thought patterns that the eating disordered individual has surrounding food. By working with a therapist over ten to twenty structured sessions, the individual learns to identify maladaptive thoughts (e.g. Food is the enemy), and replace them with healthy thoughts (e.g. A healthy diet is essential if I am to be healthy). In that respect, CBT is often the treatment of choice for individuals with an eating disorder. Depression exists in up to fifty percent of cases of Anorexia Nervosa. A skilled psychotherapist will be able to not only treat the Anorexia Nervosa, but will also treat the depression. Additionally, many patients with eating disorders experience high levels of stress (either due to concerns about eating food, or because they experience high anxiety in general). A psychotherapist will be able to teach methods to counteract that anxiety, helping improve the patient’s response to treatment. Patients with eating disorders often lose sight of what is a healthy diet and what isn’t. Due to the distortions that occur around food, many patients with Anorexia and Bulimia Nervosa can struggle to know what they should eat. A nutritional counsellor will help their patient learn about the values of various foods, and decide on a diet plan that’s balanced and healthy. In-patient treatment can be particularly effective for patients with eating disorders. By removing the patient from the stresses of the world and placing them into a therapeutic environment with a high-level of care, the patient can be allowed to fully focus on the task of recovering. Additionally, being surrounded by others who are in various stages of recovery may help the patient to recognise the challenges they are facing, making them better-able to cope. Family relationships are frequently impacted when a relative develops an eating disorder. Occasionally, stress caused by a poor relationship could be a triggering factor in the development of an eating disorder. By working with a family therapist to improve those relationships, the patient is promised the chance to emerge into a stronger, more supportive family who are better able to cope with their condition. Although an eating disorder is a complex condition, a carefully-managed treatment program makes a holistic recovery possible.